Novel methods for early detection are critical for improving cancer treatments and outcomes. This is especially true for lung cancer, the most common cause of cancer death worldwide, with over 1.5 million deaths per year. Now, the world’s first genetic sequencing of precancerous lung lesions has allowed researchers for the first time, to discover the differences between the lesions that will become invasive and those that are harmless, and the subsequent development of a method that can accurately predict which lesions will become cancerous. The work, published on January 21st in Nature Medicine, titled “Deciphering the genomic, epigenomic, and transcriptomic landscapes of preinvasive lung cancer lesions” may pave the way for very early detection and new treatments. 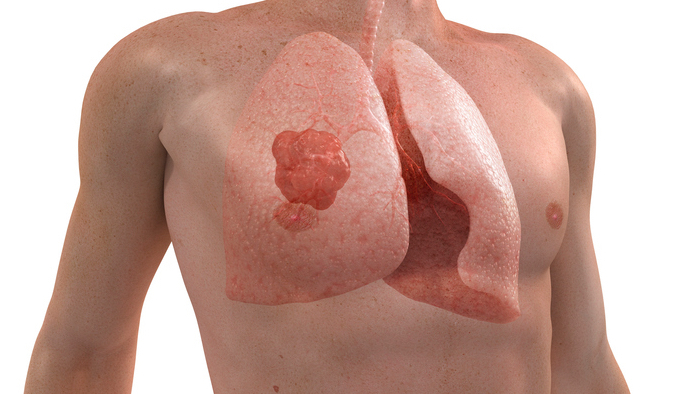 The research team wrote that “the molecular alterations that occur in cells before cancer is manifest are largely uncharted” noting that although lung carcinoma in situ (CIS) lesions (the preinvasive precursor) to squamous cell carcinoma are microscopically identical, their future is in equipoise, with half progressing to invasive cancer and half regressing or remaining static. Because the proximal airways are so accessible, the detection and monitoring of these lesions using high-resolution diagnostic approaches such as autofluorescence bronchoscopy (AFB)4 is possible. This technique enables the acquisition of tissue, providing an excellent model to study early tumorigenesis in human patients. The research team identified differences in genomic features such as mutations, gene expression, and chromosomal instability, finding enough differences that they could predict with near-perfect accuracy which lesions would develop into cancer by checking the lesion’s molecular profile. Precancerous lesions are detected by bronchoscopy, a minimally invasive test that is often done on people with a chronic cough or a history of lung cancer. There is no consensus on treatment for precancerous lung lesions; in some countries, patients with such lesions undergo surgery, while elsewhere, patients are monitored and only treated if clear signs of cancer appear. While bronchoscopy isn’t offered to everyone at risk of lung cancer, the researchers say their findings could help to develop a simpler blood test to pick up the same molecular signals that are linked to early cancer development. “If we can use this new understanding of cancer development to create new diagnostic tests, it may one day be invaluable in picking up cancer early, enabling people to access treatment much earlier in the disease process,” said co-first author Adam Pennycuick MBBS, MPhys, UCL Division of Medicine. The study could also help lead to new treatments. Some of the genes that are expressed differently in lesions that will become cancerous, have previously been identified as potential drivers of lung cancer. “We are now continuing our research to further understand how these genes are driving cancer progression, and to see which ones could be targeted by new drug treatments,” said co-first author Vitor Teixeira, PhD, senior research associate at UCL.